In the Christian arena, a lot of empowerment takes place and a few mentors in Nigeria has shown uncommon commitment to lift and direct young people. One of such known mentors, is the Chairman of Protection Plus Security and President of the Ubong King Foundation, Mr. Ubong King. 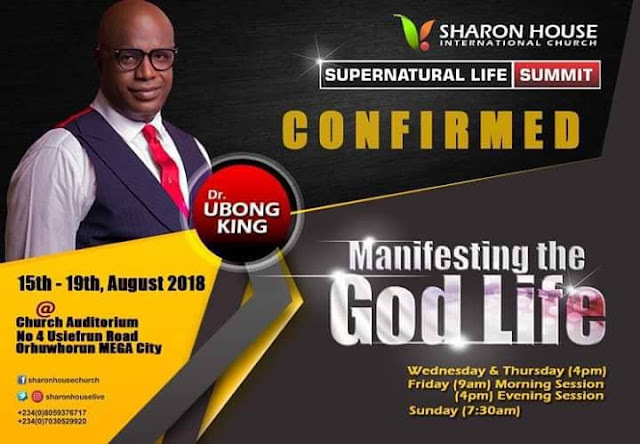 The Sharon House International church being one of such Christian centres with passion for developing young people headed by Godfrey Ebuzor is set to host the 'Supernatural Life' summit this August in Warri- Delta state, Nigeria. 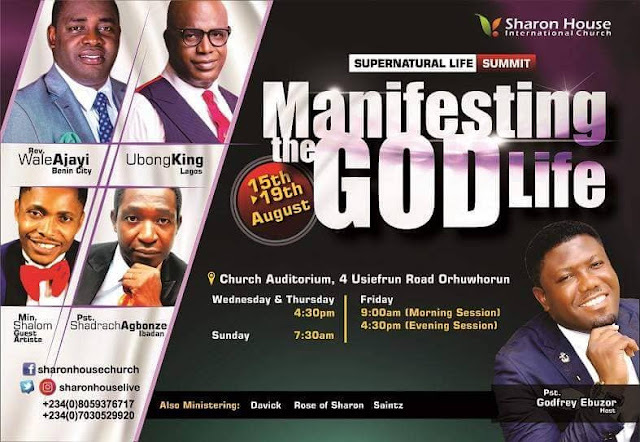 Other powerful speakers set to be the catalysts for supernatural living include Rev. Wale Ajayi, Minister Shalom, Pastor Shedrach Agbonze and also Ubong King. It is sure an exciting time for participants who would attend as Ubong King has been known to spark off fire of productivity in enterprise among young people. This promises to be more, we can confirm.